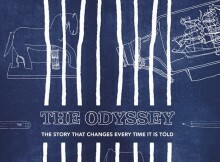 The Factory produces unique version of Homer’s The Odyssey. The Factory, in Peckham, gained a cult following in 2008 with guerrilla performances of Hamlet and on­the­fly Chekov. Now the theatre company turns its sights to Homer’s epic.